The village of Elva was founded in 1891, on the northwest quarter of 18-3-27W in what is now the Municipality of Two Borders, on land sold to the Canadian Pacific Railway by James R. Skelton. The town was named after Elva Modeland, alleged to be the first white child born in the area. 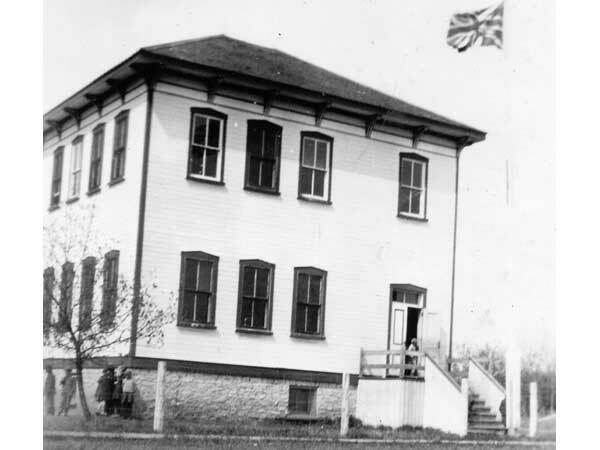 Elva School District was formally established in May 1892 and a school was erected northwest of Elva in the late 1890s. It was moved into Elva in 1898 and, four years later, replaced by a larger, two-storey frame building, located at N49.21649, W101.11817. A new elementary school was built in 1965. It closed in 1974 due to school consolidation. 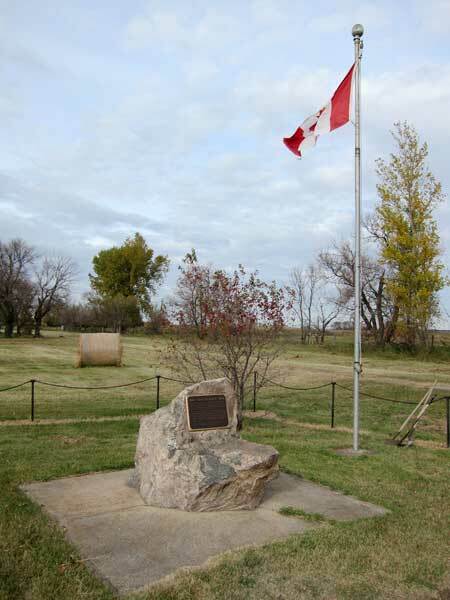 Its former location is marked by a monument. Among the teachers who worked at Elva School through the years were Mr. Wickware (1896), Hector McArthur (1898-1900), Janette Landreth (1900-1901), Sealy Mack McCleland, Genevieve Lipsett (1905), Louise Anderson (1906), Mary Stewart (1906), John B. Stewart (1906), W. N. Stewart (1907-1910), Mamie Riddell (1910-1914), Olive Grant (1912), A. G. Fulford (1912-1913), Solomon Abraham (1913), H. A. Snowden (1914), Mr. Mahoney, Miss Robertson, Miss Buckley, Mr. Ball, Mr. McConnick, Edwin H. Clark (1911-1912), Isabel Melvin (1912-1925), Clarence Moore (1915), John Williams (1912-1925), Beryle McNiven (1925-1929), Miss M. Phayr (1912-1925), Elsie Gardiner (1922), Miss Hefford, Miss Willa Dorsey (1912-1925), Lela Moon (1921), Marjorie Blowers (1925), Annetta Weichman (1912-1925), Mr. Wright, Miss Jean Anderson, Grace Dunning, Phyllis Leslie, Miss Henry, Inez V. Babb (1922), Miss Ogletree (1912-1925), Gertrude Mason (1912-1925), Reva Stewart (1912-1925), Nettie Turnbull (1912-1925), Mr. W. Jones (1912-1925), Dennis Vallee (1912-1925), Elizabeth Grierson (1925-1929), Tranna Calvert (1929), Miss M. McGee (1925-1929), Anne Potter Mainland (1929), Gwen Hawcett (1925-1929), Marie Thompson (1925-1929), Miss W. Yuill (1925-1929), J. Crawford McMillan (1930), Winnifred Potter, Frank C. Jacobs, William Turkula (1946-1947), Velma Thompson (1946-1947), Mr. Ditchko, Rudolph V. Dankesreiter, Joe Kachor (1948), Noreen A. Robinson (1949), Audrey J. Taylor (1950-1951), Ruth Wilken (1950-1951), Evelyn Basiuk (1953-1955), Grace Johnson Roblin (1955-1956), A. J. MacLeod (1955-1956), Zenon Stephan Pohorecky (1957-1958), Joyce Walker (1957-1959), Sarah Barker (1959-1960), Gloria Allan Innes (1961-1975), Evelyn Roblin (1962-1963), A. E. Gresbrech (1963-1964), Linda Moldowan (1964-1965), Ken Hafenbrok (1965-1966), Gladys E. Snyder (1966-1967), Hazel Lamport (1968-1969), Laureen Morton (1970-1971), Donnelda Wheelans (1972-1974), and Edna Wilson (1974-1975). GR8461, A0233, C131-1, page 110. “Elva, Man”, Western Canada Fire Underwriters’ Association map, 1916, Archives of Manitoba. Harvests of Time: History of the R.M. of Edward by Edward History Book Committee, 1983, pages 149-151. We thank Nathan Kramer and Eric Pohorecky for providing additional information used here.